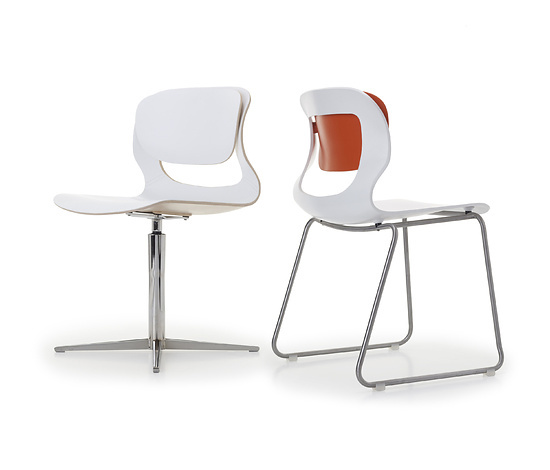 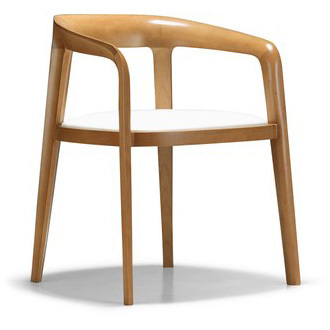 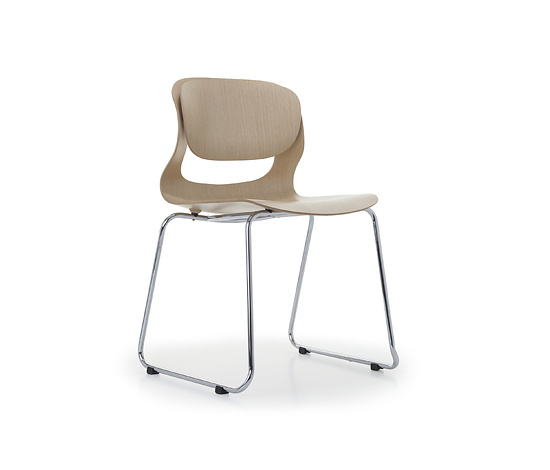 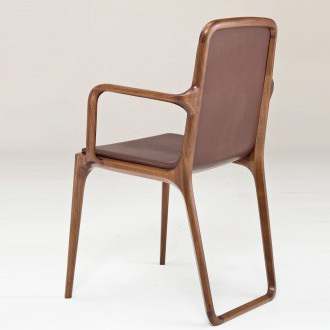 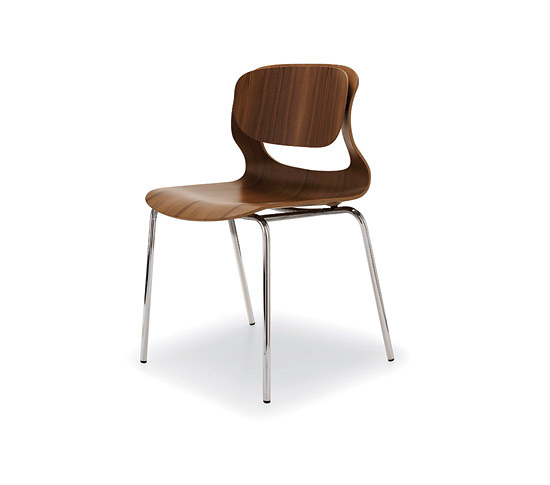 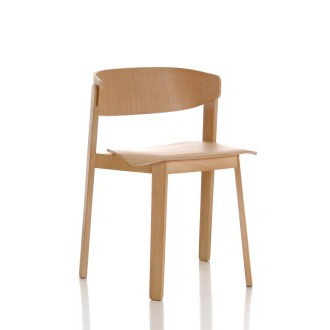 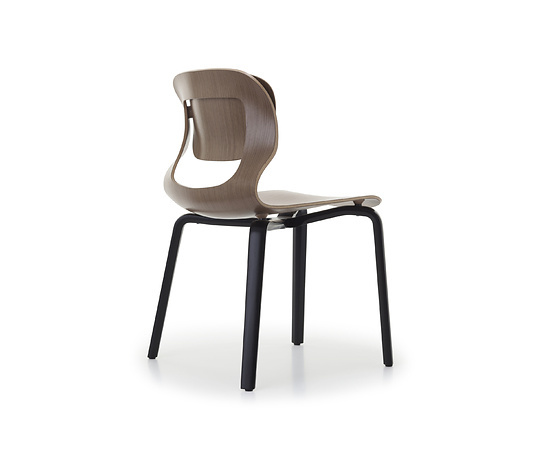 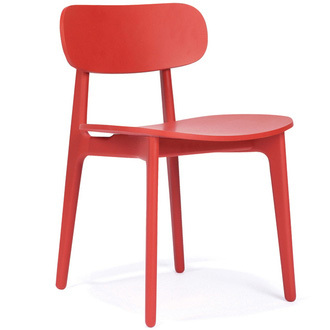 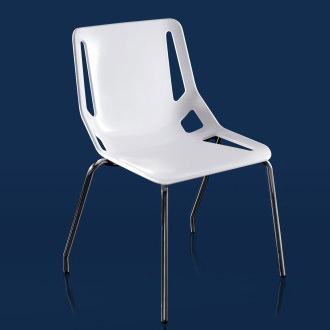 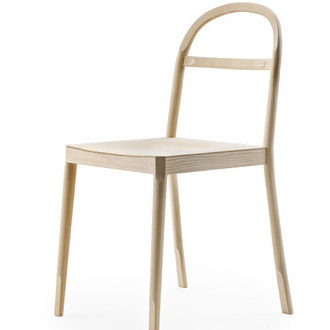 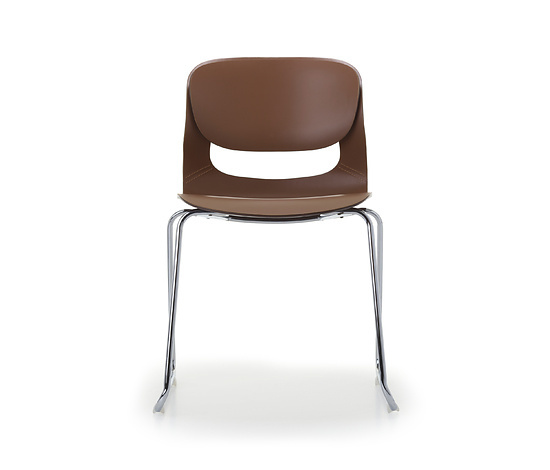 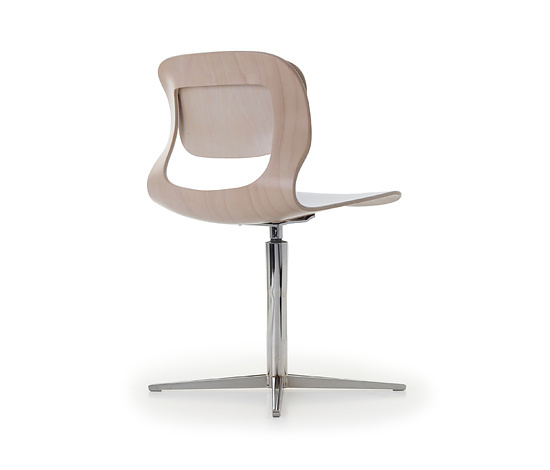 ames tveir is a classic modern multipurpose chair based upon an innovative moul- ding technique using 3-D veneer. 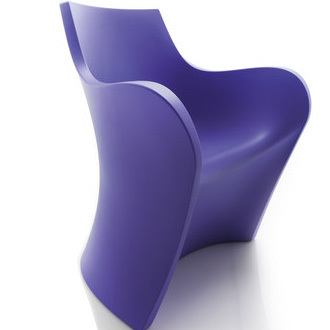 It was important for us to go new ways and experiment with new technologies, shapes and materials. 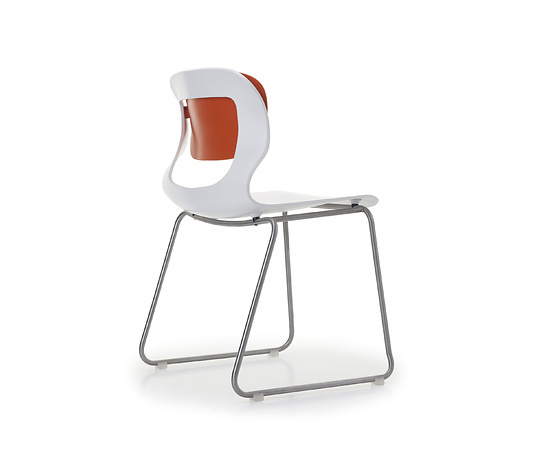 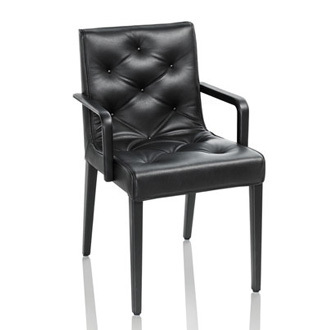 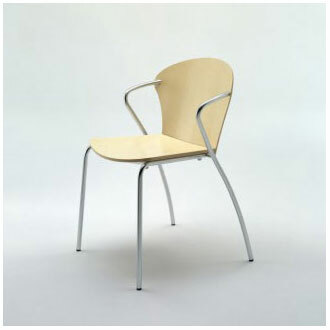 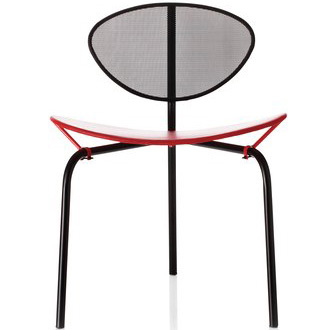 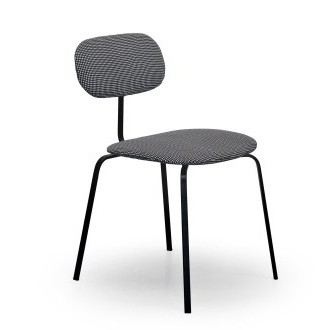 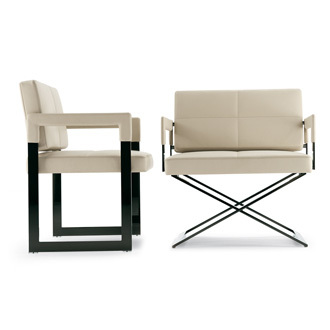 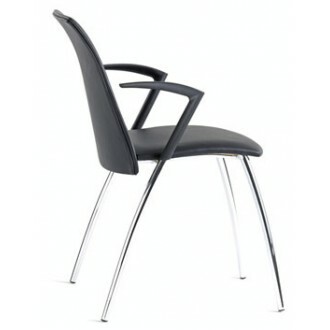 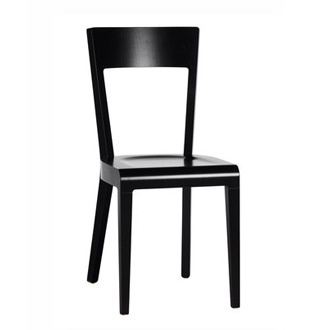 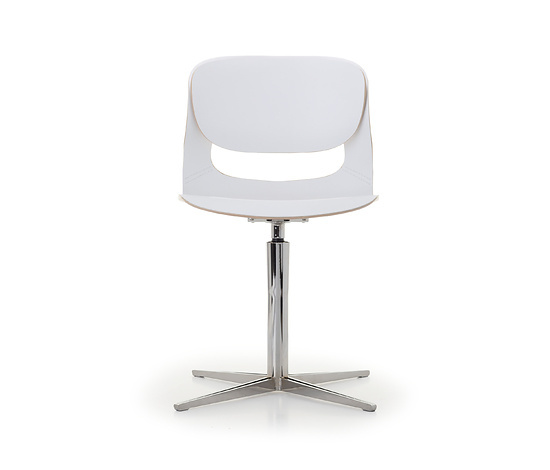 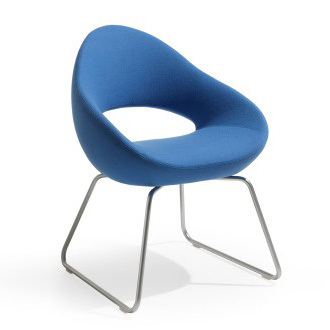 ames tveir has been developed into a complete collection of chairs in a wide variety of finishes. 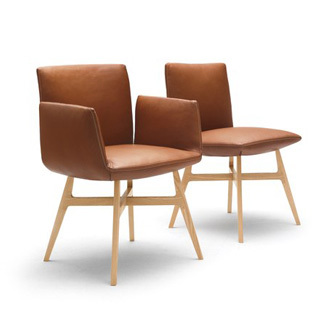 The comfortable and fl exible 3D veneer shells of ames tveir can be front padding or in visible natural veneer oak, American walnut or beech, as well in black or white soft coating. 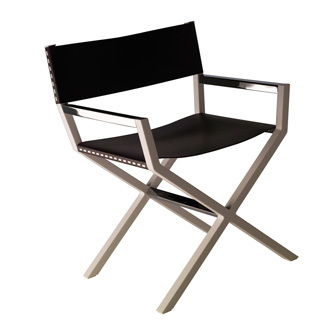 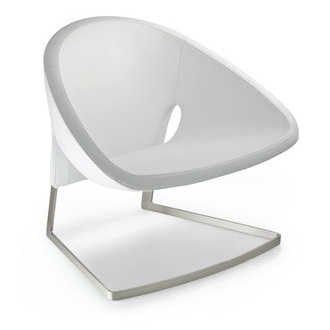 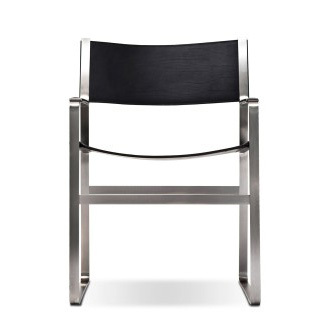 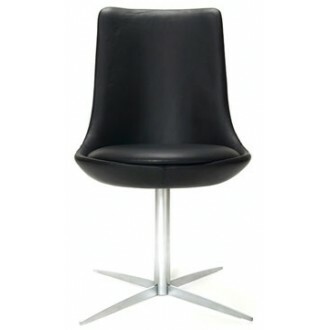 The variety of frames: four-legged, column or sledge comes in shining chrome or powder coated with or without wood armrest. 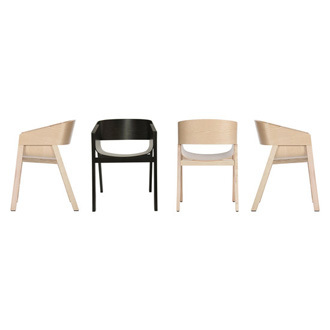 Except the column frame, ames tveir is stackable in all versions. 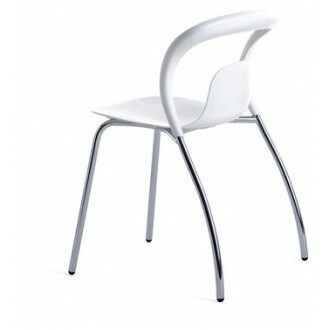 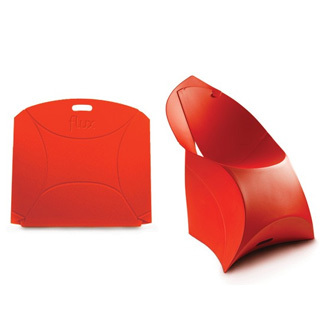 Accessories like writing tables and linking device for the sledge chair complete the serie. 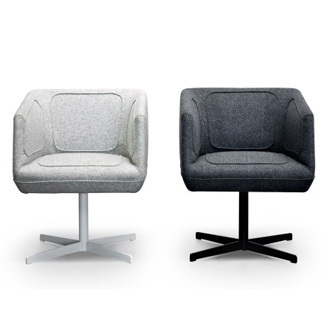 ames tveir is suitable for use in Conference and meeting rooms, café, bar, private homes, lounges and office areas.